From whitewater rafting to dog sledding, the Yukon has a wide range of outdoor activities perfect for adventurous travelers. If the only thing you know about Canada’s Yukon territory is the famous Klondike Gold Rush of the 1890s, it’s time to replace that perception with images of whitewater rafting, kayaking near massive glaciers, and leading a team of sled dogs across a snowy field while the Northern Lights dance in the sky. The capital city of Whitehorse, home to two-thirds of the Yukon’s 36,000 residents, serves as the hub for a number of outdoor adventures, while additional activities can be found in Kluane National Park and the historic town of Dawson City. Summer provides the best weather, except for those seeking winter activities such as snowmobiling, dog sledding, or Northern Lights viewing. Average summer high temperatures reach roughly 70° F (20° C) throughout the territory. Dawson recieves to 21 hours of daylight in June, while Whitehorse tops out at 19 hours, so you can pack so much into each day here! 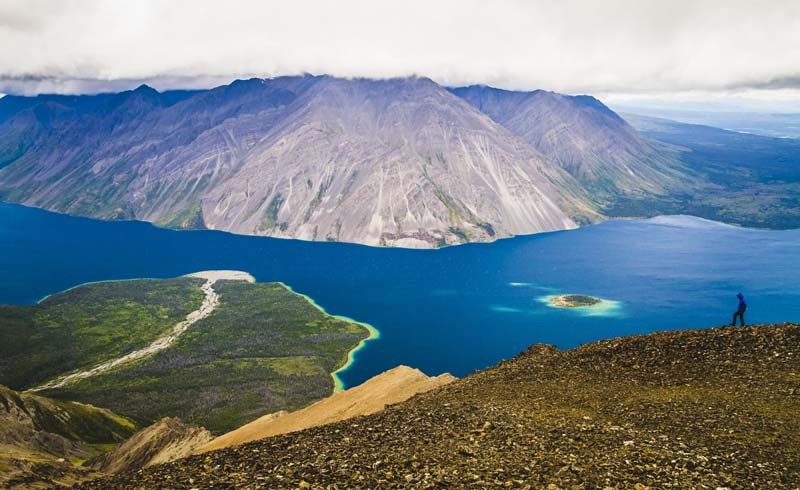 If you’ve never considered the Yukon as a destination for outdoor adventure, check out some of the activities you’ve been missing. And bring a sizable carry-on to pack your favorite outdoor gear, especially if you’re planning a family visit. The Yukon’s glacier-fed rivers make for some great rafting. Among the most popular rafting spots are the Alsek and Tatshenshini Rivers, which flow from the Yukon into British Columbia. These offer Class I-IV rapids that can be appropriate for single-day or much longer excursions. To be on the safe side, visitors should participate in whitewater rafting as part of a group or guided tour, due to the remoteness of many of the province’s rivers. Choose an established and reputable company such as Tatshenshini Expediting or Canadian Rafting Adventures. Unlike in Alaska, where visitors can climb inside several roadside glaciers, the glaciers in the Yukon are more remote and difficult to access. One of the best long-distance hikes to see glaciers is the Slim’s River West Trail in Kluane National Park. The round-trip trek covers roughly 27 miles (45 km) and requires at least two days to complete. The reward is a great view of Kaskawulsh Glacier just 1.2 miles (2 km) from the end of the hike. The Slim’s River hike includes creek crossings, so keep your belonging inside a weatherproof pack. Not many places in the world give tourists an opportunity to go dog sledding, so here’s your chance to go for it! Various companies in the Whitehorse and Dawson City areas offer introductory tours that allow you to become a musher for your own team of huskies. Many of the winter dog sledding tours are paired with Northern Lights viewing opportunities for maximum awesomeness factor. If you’re visiting during the warmer months, some companies offer summer dog-sledding activities. These can be as short as an hour in duration and involve a team of sled dogs carrying/leading visitors down dirt trails instead of snow. It’s the world’s longest canoe and kayak race! The Yukon River Quest takes place each summer, when more than 100 teams and solo entrants paddle 444 miles (715 km) between Whitehorse and Dawson City over the course of two to four days. The experience will be a ton of fun even if you don’t come close to matching the all-time record of 39 hours. The top finishers receive prize money, but registration opens months in advance, so plan ahead to avoid getting stuck on the waitlist and pack a lightweight bag so you’re not weighed down! Who knew the Yukon had a desert? Composed of a series of sand dunes, the Carcross Desert covers just one square mile and is regarded as North America’s smallest desert. The area offers a drastic change of scenery compared to the rest of the snowy and forested province. Sandboarding, ATV riding, and off-roading are popular activities on the dunes, while great hiking and mountain biking can be found in the nearby mountains. Other options for outdoor fun in the Yukon include snowmobiling, camping, horseback riding, snowshoeing, and stand up paddle boarding. 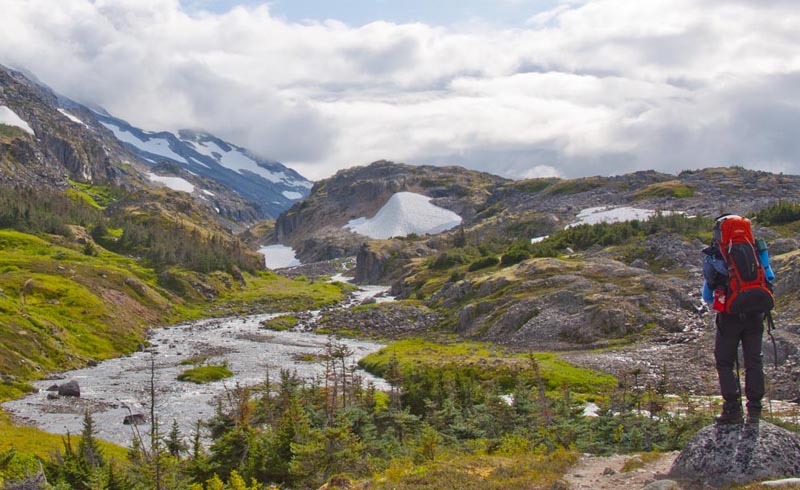 And there are dozens of great scenic hikes in addition to the ones already mentioned. Just be bear-aware, and take plenty of water and a reliable duffel for day trips.